BRAND'S® knows the importance of doing your best in matters that you are passionate about and that are significant to you. Having the time and concentration to pursue your passion; whether it is spending time with your family or pursuing your hobby is important to your daily life. BRAND'S® Essence of Chicken seeks to help everyone live your best and allow your better self to shine through. For 180 years, generations have trusted BRAND'S® Essence of Chicken for its goodness. 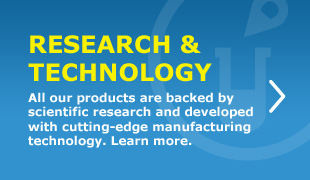 It is the only scientifically-supported Essence of Chicken with 38 research papers to date. BRAND'S® Essence of Chicken is an extract of fine quality chicken and is specially formulated for easy absorption and digestion by the human body. It is hygienically processed under high temperature to give it its unique flavour and airtight sealed to preserve its freshness. BRAND'S® Essence of Chicken is free of fats and has no preservatives added. Concentrated chicken extract (Water, chicken), Colour E150a. 1. What exactly is BRAND’S® Essence of Chicken? BRAND’S® Essence of Chicken is a natural food supplement that is made from the extract of fine quality chicken in an easily digestible form and packaged in a ready to drink format. It is hygienically processed in high temperature to give it a unique flavour and airtight sealed to preserve its freshness. 2. What is the difference between home-boiled chicken soup and BRAND’S® Essence of Chicken? They are different in that for BRAND’S® Essence of Chicken, its unique extraction process ensures that it maximises the benefits that could be reaped from the chicken extract, is easily absorbed and digested by our bodies and removes the fats effectively due to the technology it applies. 3. Why is BRAND’S® Essence of Chicken dark in colour when home-boiled chicken soup is yellowish? Has any colouring been added to it? To keep the colour of BRAND’S® Essence of Chicken consistent, we do add a small amount of caramel colour, an approved food ingredient and commonly used colour, to the product to give it its characteristic rich dark brown colour. 4. Why does BRAND’S® Essence of Chicken taste salty? Is salted added? No salt is added during the manufacturing process of BRAND’S® Essence of Chicken. If there is any tinge of saltiness you may taste, it is naturally occurring from the chicken. 5. What is the best time to consume BRAND’S® Essence of Chicken? Regular consumption of BRAND’S® Essence of Chicken is recommended to help your body enjoy the benefits of the product. It can be enjoyed at all times of the day. However, for maximum absorption of the goodness of the product, it is best to consume it in the morning. 6. Can I consume BRAND’S® Essence of Chicken before sleeping? 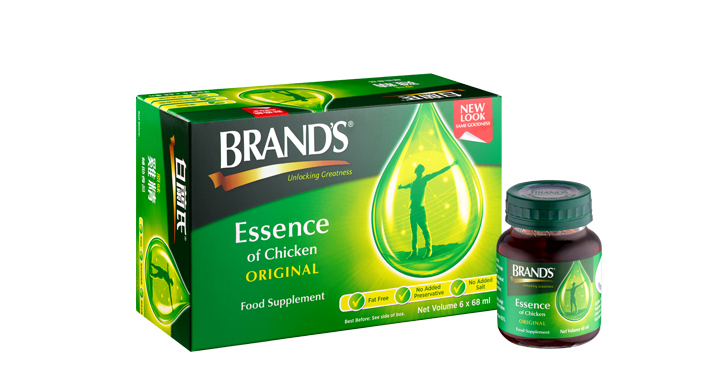 BRAND’S® Essence of Chicken is a natural food supplement and does not contain any stimulant or caffeine. Hence, it should not affect your sleeping pattern. 7. Why does BRAND’S® Essence of Chicken have a shelf life of 3 years despite not using preservatives? This is because every bottle is airtight sealed and sterilized by heat, ensuring its shelf life is maintained as long as the seal remains uncompromised. 8. Should BRAND’S® Essence of Chicken be refrigerated? Every bottle of BRAND’S® Essence of Chicken is sterilised and airtight sealed for freshness, hence no refrigeration is required. Keep in cool dry place and avoid direct sunlight for the best quality. For consumers who like to drink BRAND’S® Essence of Chicken chilled, they may refrigerate it. BRAND'S® Essence of Chicken may be consumed straight from the bottle at room temperature, chilled or warm according to one's preference. Keep in cool dry place and avoid direct sunlight for the best quality. Consume immediately upon opening. Recommended dosage: 1 to 2 bottles daily. This is not a substitute for a varied and balanced diet and a healthy lifestyle. Consult your healthcare professional if you have a medical condition or are in doubt. Children may consume this product under the supervision of an adult. BRAND'S® Triple Safety Cap, incorporating a triple protection mechanism, is a patented innovation of rigorous research and testing specially made to lock in the natural goodness and freshness of BRAND’S products with no preservatives added.